I finally had the chance to test out my new flip belt! AND I LOVE IT! I really didn’t know how I would feel about it because I figured it would bunch up and look weird, but once I popped my phone in and flipped it over I was good to go. I ran for 5 miles and with my iPhone5s tucked away it stayed in place just fine. It didn’t ride up or bounce around as one would expect, but I did need to wear it over my pants so that my mommy pouch wouldn’t be squished. I think this belt would be great for a variety of people, but can see larger individuals or people with excess loose skin (like myself) struggling to feel comfortable. I was able to solve this problem by wearing the belt over my running tights. 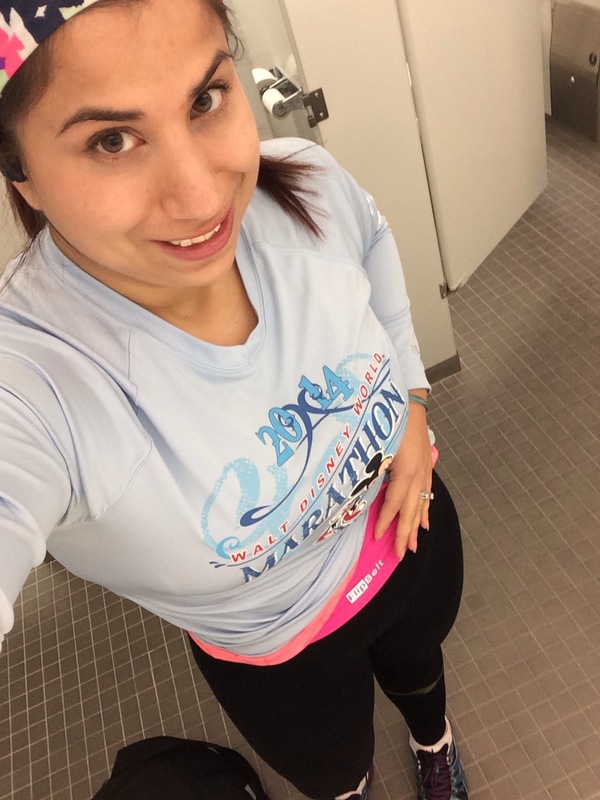 My tights help to hold everything in so my gut wasn’t flopping around over the belt as I ran. Overall, it’s a great product and I would recommend it to my friends (and you!). The only con I can see is for larger individuals. I know that this is something I would have avoided like the plague back when I first started my journey and can understand that it’s not something that is meant for every body. I should also note that I ordered a size large for my size 10/12 hips so it’s a fairly standard fit. If you’re interested in buying one of these at a super discounted price let me know ASAP (leave your email) so I can share my special discount code (I have 15 codes available for 33% off). Also if I run out of super saver codes you can use code: Sweat10 for 10% off your entire FlipBelt purchase! Be sure to visit http://bit.ly/flipbeltsweatpink to checkout their full collection of belts! If you want to get your hands on one for cheap please fill out the form so I can send you the 33% off code!